Find the right financial advisor for you. Answer a few questions and get matched with advisors based on your needs. Answer a few simple questions You let us know what you're looking for in an advisor, so we can find a match. See your advisor matches You'll then get matched with up to three advisors based on your answers. Book appointments You can use our online tools or concierge service to book an appointment. If you want to find a financial advisor who can provide guidance for your personal finance decisions, our matching tool simplifies the process. 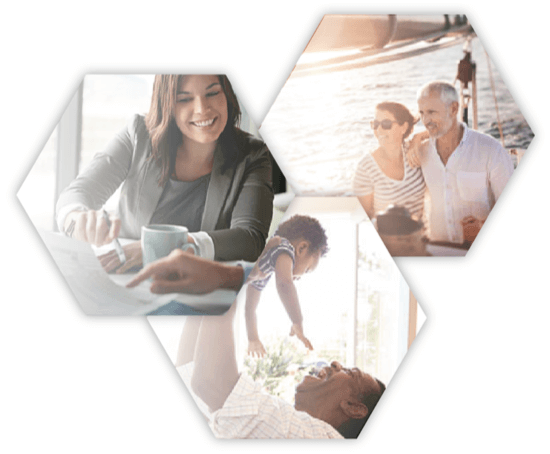 To match you with top financial advisors nearby, we ask you a series of questions about your retirement plans, life status, investment goals and advisor preferences. Our matching algorithm then finds up to three advisors who fit your needs. Anyone with whom you are matched has already been carefully vetted. Before allowing investment advisor representatives onto our platform, we verify that they are investment advisors and are properly registered with either the U.S. Securities and Exchange Commission (SEC) or the appropriate State regulator. We also confirm that they do in fact possess the licenses they say they do. They cannot have any relevant pending or valid regulatory disclosures from within the last 10 years. If an advisor has disclosed a severe infraction, he or she will not be permitted on our platform. The only exception to this rule is if the complaint has been withdrawn, denied, or otherwise dismissed. Once you’re matched, you can expect to be contacted by an advisor within a couple of business days. I used this (tool) and am working with a great advisor with my best interests in mind. Each of the questions asked in SmartAsset’s survey relate to one of four main themes. Those themes are life status, advisor preferences, investment goals and advisor specialization. These are all important topics to consider when choosing a financial advisor. Another important consideration is how much you can afford to invest at your current life stage. Some of our advisors specialize in serving high-net-worth individuals and require account minimums in the millions of dollars. Others have no set account minimum. If you're just starting out or don't have a lot of money to invest, a robo-advisor could be a good option. Robo-advisors, which digitally manage your investment portfolio, typically have lower account minimums and fees. Our matching tool recommends a robo-advisor to anyone who has less than $25,000 to invest. When you complete our matching questionnaire, you’ll typically be matched with more than one financial advisor. We do that so that you have options to ensure you’re truly finding the right fit. It can be a good idea to talk to multiple matches before settling on one. Each advisor has a unique process, investing philosophy, communication style and overall approach. One of the biggest differences between financial advisors is their investing philosophies. Some may abide by value investing, which seeks relatively undervalued stocks with the belief that those stocks will someday produce strong returns. Others may prefer growth investing, which focuses on buying into companies with promising growth potential. Still others may use contrarian investing, which advocates for going against the market majority. An advisor offering socially responsible investing will consider your values and the greater social good in addition to your returns when investing your assets. Many advisors invest for the long term, which may be good if you’re saving up for a retirement that’s still far down the road. Others may emphasize short-term investments, which can be a fit for investors who have more immediate liquidity needs. Financial advisors will often tailor your investing plan to suit your needs, taking into account your goals, objectives, time horizon and risk tolerance. Typically, the first step in building a relationship with your financial advisor is to sit down and determine your unique preferences, resulting in an investment plan that he or she can then implement. For instance, if you’re focused on preparing for retirement, you may want to look for an advisor who specializes in retirement planning or who has a retirement-related certification. An advisor can be a certified retirement planning counselor (CRPC) or a chartered retirement specialist (CRPS). Certifications can be an indication of a financial advisor's education and abilities. One of the most prestigious certifications is the CFP, or certified financial planner. This certification requires an advisor to have certain level of education, complete coursework culminating in a multi-day exam, submit to a background check and agree to abide by a board's ethics guidelines. All CFPs are required to act as a fiduciaries, which is another key designation to look out for. Fiduciaries are bound by a code of ethics to put your interests before their own. All SEC-registered financial advisor firms are fiduciaries. Individuals with financial advisors are twice as likely to be on track to meet their retirement goals. If you still have some questions, these articles can help answer them. Whenever you are ready, come back to the tool above and find your financial advisor today. What Is a Certified Financial Planner (CFP)? What Is a Fee-Only Financial Planner? How Much Do Financial Advisors Make? Thousands of people used SmartAsset to find a financial advisor last month. If you want to get a sense of the top firms in your area, we’ve reviewed hundreds across the country. These reviews, compiled through extensive research, rank the top firms in the following cities according to assets under management (AUM). They include detailed information on each firm’s investment philosophy, account minimum, certifications and services, all of which can help you decide whether a firm is right for you. SmartAsset analyzed data to find the most financially healthy places in the country. This interactive map allows you to see the most financially healthy counties in the country and in each state. Zoom between states and the national map to see the top spots in each region. Also, scroll over any county to learn about that region's financial health. There’s a lot more to financial health than how much income one earns in a given year. To find the most financially healthy places, SmartAsset took a holistic approach, considering debt as a percent of income, bankruptcies per 1,000 people, poverty rates and unemployment rates in our analysis. To calculate debt as a percent of income, we divided debt per capita by income per capita. To calculate bankruptcies per 1,000 people, we divided total bankruptcies by the population, and multiplied that number by 1,000. To calculate the Financial Health Index, we weighted debt as a percent of income 25%, bankruptcies 40%, poverty rates 20% and unemployment rates 15%. We ranked the counties on each of the categories and then indexed each category. We then added those indices together and indexed that. In our study, a financially healthy county means people there have low average debt as a percent of income, along with a low chance of being affected by personal bankruptcies, poverty or unemployment.